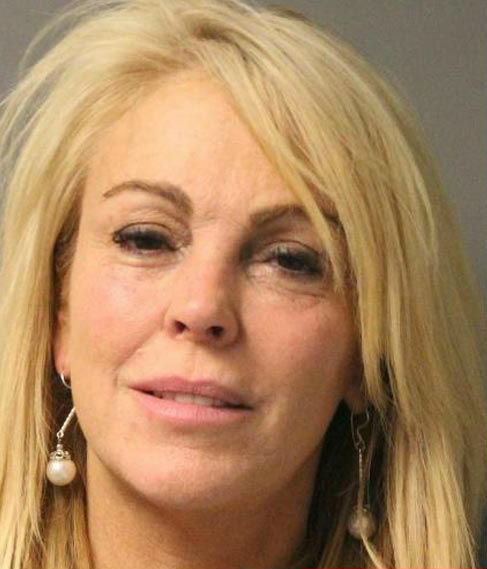 -Looking at Dina Lohan’s mugshot is like peering into Lindsay‘s future. –Nicole Kidman was knocked to the ground by a paparazzo on a bike. She’s considering pressing charges. -Julianne Moore will play President Alma Coin in the next two Hunger Games movie. I really like this casting. -Also great; Colin Firth is going to play Paddington Bear, which makes me happy. –Sara Gilbert says she realized she was gay while dating Roseanne costar Johnny Galecki, and he was awesomely supportive of her. -Remember those reports of Russell Brand being kicked out of the GQ Men of the Year Awards for his Nazi comments about Hugo Boss? Now there’s video of his speech — and it’s amazing. –Selma Blair is not thrilled that Charlie Sheen fired her for criticizing his work ethic. -Parks and Rec’s Adam Scott and Retta have lots of thoughts about last week’s Breaking Bad. -Speaking of the Parks and Rec cast, Amy Poehler calls herself a twerking mother. -I like the EWwy winners much more than I’m sure I’ll like the Emmy winners. –Aaron Paul is all kinds of adorable in this video interview with Vanity Fair. I’m digging the facial hair. –Miley Cyrus is a brunette now. -The always-amazing Emma Thompson throws shade at actors who think they are ‘above’ promoting their work, and shows ’em how it’s done at TIFF. -Speaking of TIFF, Liam Hemsworth may have made out with a mysterious brunette when he was here supporting his brother. I didn’t hear that one, but I did hear that he was randomly introducing women to his mother. -Thanks for Sharing debuted at TIFF a year ago, and it’s just coming out now. I remember hearing really good things about the Pink/Josh Gad subplot. Here’s a clip. –Aisha Tyler gave me lots of feels when she talked about her fertility issues. -Is The View trying to add some credibility following its Jenny McCarthy addition but courting Katie Couric? -Here’s the first trailer for Homefront, a movie that was written by Sylvester Stallone and pits Jason Statham against James Franco. I’m so confused by all of those words.